I consider myself one of the lucky ones. Growing up in North County, I experienced everything that San Diego has to offer: the beaches, weather, people, food, and short drives to deserts and mountains. Over the years, I watched our sleepy coastal towns transform into thriving beach communities. And after a few short stints away from the area, I came to have an even deeper appreciation for everything that sets San Diego apart from the rest of the country. My strong ties to San Diego and my passion for people made real estate a natural fit for me, but having spent nearly a decade working in the nonprofit sector previously, I found myself searching for a way to bridge the gap between these two worlds and to go beyond simply conducting transactions. I wanted to work with like-minded people who not only appreciate this community as I do, but who also have a desire to give back to it. That’s when I launched Fetch Properties. At its core, Fetch Properties comprises my personal and professional passions: real estate, nonprofits, and dogs. By getting involved and donating 10% of my commissions to local, nonprofit dog and animal rescues, my mission is to use real estate as a means to an end, not only helping people to find their homes, but helping as many dogs as possible to find their forever homes, too. My approach as an agent has been shaped by my nonprofit background: simply put, I care deeply for my clients’ needs and strive to provide them with the best solutions to meet those needs. In an industry in which so much is reactive (to the market and to circumstance), I strive to be proactive instead, anticipating numerous scenarios, thinking outside the box while negotiating, and taking the time to equip my clients with the knowledge they need to make the most educated, favorable decisions possible. When I’m not working, you can find me at a coffee shop or the beach (usually with my rescue dog, Sully, in tow), playing basketball, teaching myself a new song on the guitar, or trying a new local restaurant or brewery with my wife, Bethany. We’d like to thank our donor slash volunteer Aaron Brown for his ongoing support for the Wagging Dog Rescue. With every home sold or purchased through Fetch and Aaron, he donates a percentage of his commission to our Orphans! It’s a win win for our pups and the Fetch Clients. 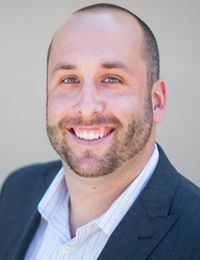 We know through personal experience that Aaron provides top notch customer service, brings his knowledge and experience to the table, and helps people with their oft times stressful transition from one abode to another - and he definitely helps relieve some of that stress by going above and beyond to make his clients’ lives easier! After a poor experience with a selling agent for our first home in San Diego, working with Aaron to purchase our second was truly a breath of fresh air. THANK YOU Aaron and Fetch Properties for supporting the Wagging Dogs with your time and monetary contributions!! And to the new homeowners out there, if you’re looking for a furbulous pup to complete the American Dream, we have many wonderful Orphans just waiting to meet you! I cannot recommend Aaron highly enough. He helped us with a particularly challenging purchase. He was never pushy and was always supportive. He is professional and always patient. Aaron explains everything every clearly and talks you through the steps of the buying process. All my emails and phone calls were answered promptly. You will never be left to wonder what’s happening. He made me feel like I was his only client. Do yourself a favor and hire Aaron if you are looking to buy and/or sell. Aaron was a great choice for us. He was extremely knowledgeable and explained every detail of our transactions with the pluses and minuses. At the same time Aaron was exceptionally personal, interested in us and our family, our preferences or concerns. And he was absolutely available. We were regular text messagers . . . We would and will definitely recommend him! Aaron seamlessly guided us through the entire selling AND buying process, actively listening and consistently addressing our goals and priorities. He would carefully research any question we had and would give us incredibly well thought-out answers we could actually understand . . . We were confident that he was always looking after our interests. We recommend him without reservation to anyone seeking a highly competent agent who has an impressive knowledge of this locale.